‘Okurrr,’ Cardi B’s signature trill, is indeed being trademarked by the rapper. 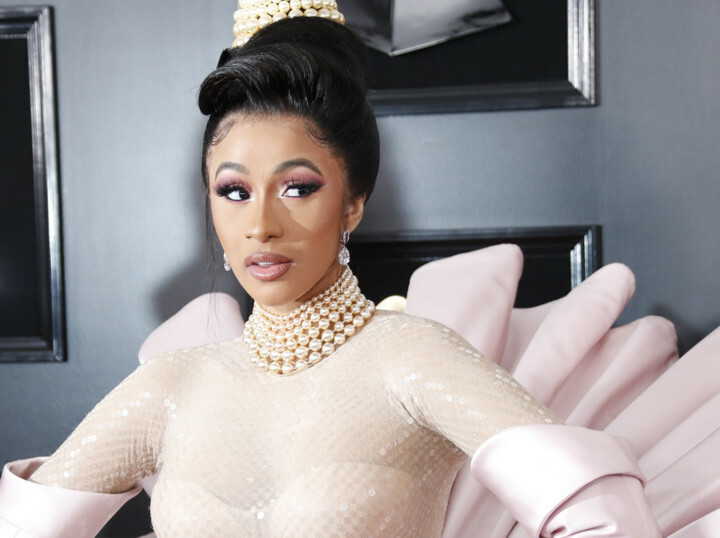 Washpoppin Inc, Cardi’s New York-based cosmetics company, was listed as the owner of the mark. The ‘Money’ and ‘I Like It’ rapper also plans to put the word on “clothing, namely, T-shirts, sweatshirts, hooded sweatshirts, pants, shorts, jackets, footwear, headgear, namely hats and caps, blouses, bodysuits, dresses, jumpsuits, leggings, shirts, sweaters, undergarments,” according to records obtained by Page Six on Thursday. On ‘The Tonight Show,’ the Bronx-bred rapper said the popular catchphrase — also the subject of Pepsi’s Super Bowl 2019 commercial — is like the sound a “cold pigeon in New York City” makes.